"No Mind Left Behind: Using Media to Reach All Students"
· Current Kindergartners will graduate from high school in 2021: What kinds of jobs will be available then? What are we doing to prepare them for that? I am really pushing to get a Visual and Performing Arts Page (focus of our magnet) added to the school website. I talked with Pilson today about forming a subgroup of the magnet marketing committee to help promote the magnet system around the system. The system's magnet webpages have not been updated. Our page will be soon and then we will link it to our school page. I saw some magnet brochures from certain schools, and I was thinking that maybe we could try to create a online brochure with this page and its focus. The host shared some of his tips and tricks and then opened it up to let others share as well. "Raise Your Hand if You are a Rock Star"
Posted by Melissa Edwards on Monday, Oct 20th, 2008. When I was checking out other teacher webpages last week, I saw a post about students doing a Flip video. I did not know what that was, so I started asking around and doing some research. It is a small video camera that has a USB port that flips out from it to plug directly into a computer. It is set up for easy sharing on youtube and other online photo places. We went to the store and looked it, looked at the reviews, and researched them on the internet (husband and I). This weekend I listed a request for one on donorschoose.com. I also added it to my Christmas gift lift! I helped the Kindergarten Teachers with their webpages today. We worked for about 45 minutes after school. I also created a newsletters folder in the S drive (shared) and put the October newsletter they created in it. I am hoping that other groups who do school-wide newsletters will put a copy of their newsletters in that folder for others to put on webpages and information for the school page. Posted by Melissa Edwards on Thursday, Oct 16th, 2008. I completed most of the application for becoming a STAR Discovery Streaming Educator this morning. After answering a few questions, I watched a video on the Roles, Responsibilities, and Benefits of becoming a STAR educator. 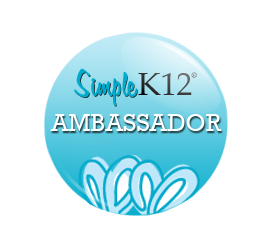 STAR educators get a welcome kit, training toolboxes, and have greater access to the website. They are expected to facilitate local events, which is anytime that you share information about discovery products. For the last part of the application, I have to plan, host, faciliate, and record an event. I started thinking about what to do and looking for ideas. Since I eat lunch with the Arts Team (and go to some of their meetings), I looked at the resources on Discovery Education and found a forum on Visual and Performing Arts. Since I work at a magnet school for the Visual and Performing Arts, I thought that would be a good place to look. I found lots of resources to share concerning music and art. I looked in the dance area and found nothing, so I will tell our dance teacher that she should share her integration ideas. Posted by Melissa Edwards on Wednesday, Oct 15th, 2008. Mr. Pilson and the arts team has been referring to me as the "Smarty Pants Teacher Lady" and said that I should put SPTL with my email signature. This morning he told me that I should add a slash to SPTL and add WG for "Web Girl." I have found out more about how to use my school webpage by just messing with it and trying stuff. I told Mr. Smith that I knew that he could fix it if I really messed it up. Posted by Melissa Edwards on Tuesday, Oct 14th, 2008. I helped another teacher with his webpage today. I am scheduled to help a grade with the newsletter tomorrow and then their webpages on Monday afternoon. My name was mentioned several times in the principal's update for adding to the school webpage. My 1st grade students blogged again yesterday! I am using that blog as a learning log for them to take notes on their learning. They wrote about the word sorts that we did last week. I don't think I used the ActiveBoard at all last week, but I think I used it with just about every group of students yesterday. Students get really engaged in the lesson whent they are able to go up to the board and move things around with the pen. These lessons also provide for immediate feedback. Posted by Melissa Edwards on Thursday, Oct 9th, 2008. Posted by Melissa Edwards on Wednesday, Oct 8th, 2008. Today was the first time my 2nd grade group worked on their online learning log. They did a very good job, especially for it to be the first time. Posted by Melissa Edwards on Tuesday, Oct 7th, 2008. I created blogs on blogger.com for the learning logs for each of my enrichment groups as well as my AIG group. The links to each of these blogs can be found on the tab for each grade's Learning Log. Posted by Melissa Edwards on Thursday, Oct 2nd, 2008. So far this year, I have been involved in many technology workshops here at school im the afternoons. I have learned more about how to work on and improve my school webpage. One workshop was about NetTrecker, which I hope to use in the future on student-directed research projects. The ActivBoard is in my classroom and used almost daily. I was so excited about getting it that I went online and took a class about how to actually use it. I have been using many of the lessons available from the website that other teachers have created. I can't wait until I learn how to better use the available software to create my own flipcharts. We have used flipcharts in math, language, social studies, and science to introduce, teach, and review needed skills. Several of my small groups are keeping online learning logs, which I am calling "Thinking Logs." The students and I use these to track their learning. I also use these entries as forms of pre and post assessment to see how to adjust my future plans for greater student achievement and understanding. I really enjoy using Discovery Education Streaming to provide my students with better sources of knowledge and various ways of presenting information. I hope to become a STAR Educator at some point this year. This year, I am not only working to keep my teacher website updated but also serve as co-webmaster for the school webpage. Hopefully I will be able to have a postitive impact on our school webpage. I have been looking at and learning from other school and teacher webpages to help me.